If you sell a private label product on Amazon and wonder “how can I sell more of these? !” read on. Today, you and I are going to get 1000+ new potential customers with Instagram, the new king of social media. It’s a simple idea: we’re building an audience by using a channel. The audience you build on social media should NOT be based on the specific product that you’re selling. Rather, it should be based on the lifestyle surrounding your product. Selling silicone bread molds? Make a page about baking. Selling whiteboard markers? Make a page about productivity. Selling yoga mats? Make a page about yoga practice. Selling a scuba diving depth gauge? Make a page about underwater adventure. Your product is a natural accessory for a fantastic lifestyle. Define the lifestyle and post about it. The channel is based on where your target audience already hangs out and what medium they consume content in (text, photos, video, audio). Beauty, health, self-improvement, fashion, fitness, cooking… they’re all visual, romantic, and consumer, so use channels like YouTube, Instagram, Pinterest, Snapchat, Facebook. For parenting, eBooks, industrial, finance, scientific, waste disposal, home improvement, tech, B2B, medical… they’re more technical, so use the written word in blogs, Reddit, Twitter, LinkedIn, Facebook, podcasting. It doesn’t matter which channel is “hot” right now. Where are your people already hanging out? Go there. Pick a channel where the need for your product already exists. Sell ice-cream in a Californian summer, not a Canadian winter. Today we’re talking about Instagram, the dominant photo-based social network. It’s ideal for visual markets like kitchen, food, health, fitness, fashion, pets, babies, and home decor… because it’s all pictures and video! Why is Instagram a powerful way to build an audience? You can use IG (that’s what the kids call it these days) to reach entirely new people for free with hashtags (#). Instagram doesn’t depend on mutual “friend” or “like” status to discover content from another person. For example, I type “#love” into the Instagram search bar (this is the web version, not the mobile version), and I can instantly scroll through every time someone has mentioned #love in a photo. All 781,820,999 times. This is revolutionary. The world has cracked wide open. You can now see moments of #love from around the world, regardless of whether you know the person or not. What a time to be alive. It’s decided: we want to build an audience on the Instagram channel using the power of hashtags. We’ve defined the terms, so let’s begin. Here’s how to go from 0 to 1000, real quick. Let’s set up an Instagram account from scratch and see how we do, just you and me. Are you ready? This experience is going to be so gut-wrenchingly detailed that by the time you finish this article, you’ll be able to build and command the attention of 1000+ new potential customers. For us, this process took 37 days. For you, maybe more, maybe less. I’m assuming you already know what product you’re selling. If you don’t, HonestFew can teach you how to pick winners and then source them for Amazon. 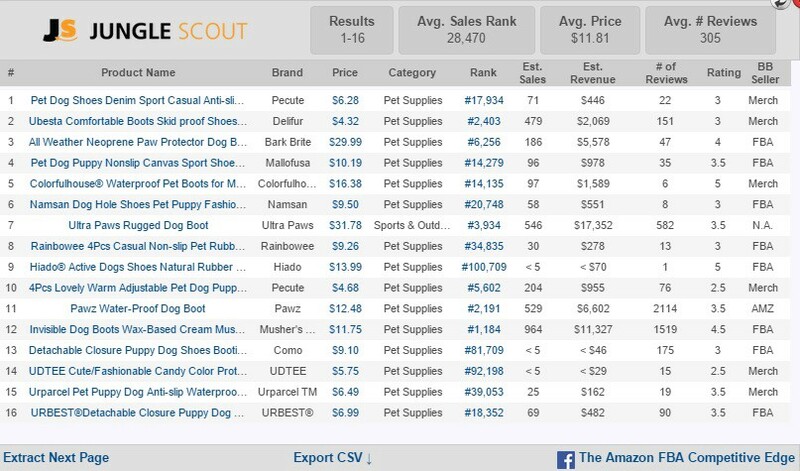 Our target market today, in Amazon shopping terms, will be: Pet Supplies > Dogs > Apparel & Accessories > Boots, Paw Protectors. The main keyword is “shoes for dogs”. This is not the “ultimate gold rush niche of 2015”, but it’s decent. Our ultimate goal is to build an audience of 1000 people who own dogs and love them enough to buy them shoes. Game on. Here’s what the Amazon page 1 looks like in Jungle Scout (if you don’t have Jungle Scout yet, you can get it here. If you go through that link, you can support HonestFew in making full guides like this at no additional cost to you). Now, we have our product (Dog Boots, Paw Protectors), keyword (“shoes for dogs”), and target market (dog owners who would buy shoes for their dogs). Let’s get into the technical steps, shall we? 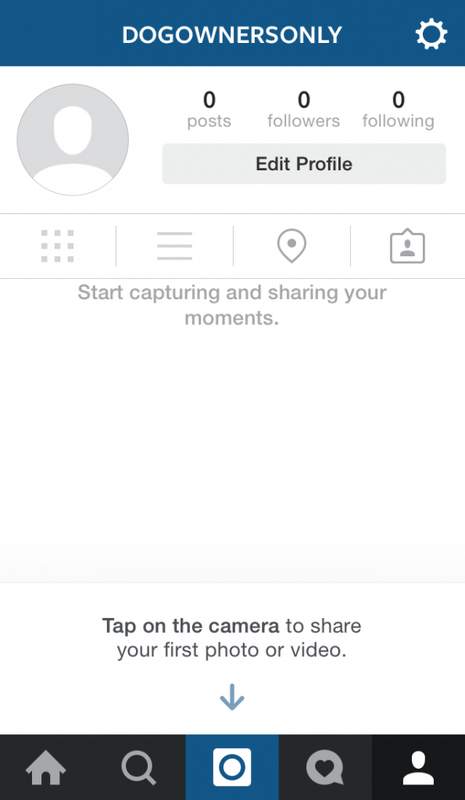 Make an Instagram account using the Instagram app for iOS or Android. You’ll need a phone with the app and a working email address (it won’t be publicly visible, so you can even use unicorn_warriorz168@yahoo.com, your email from high school that makes your cringe). It’s alright. We all have one of those emails. Pick a handle (@). It’s your Instagram username. You can always change it later. Your handle should say it all. It’s a point of self-identification for your target audience. Your target customer should be able to say “Yes, that’s me!” and hit the “Follow” button. Since we sell dog shoes, we should have a handle with “dog” in it (and preferably “dog” comes first in the handle to get any natural search benefits Instagram might provide). A star is born, ladies and gents! > It has our keyword in it (“dog”). > It actually deters anyone who wouldn’t be interested in our product offer down the line. If someone has a casual interest in dogs but doesn’t actually own a dog, they probably won’t buy our shoes. It’s self-selecting. @dogownersonly. Glorious. Here’s our newly-minted Instagram account. 0 posts, 0 followers, 0 following. But in 37 days, this page will be surging with 1000+ potential customers that we can use for product launches, initial sales, and repeat business! This is the start of our fortune! Warning: Facebook owns Instagram. As a result, your Instagram account may automatically be linked to your Facebook account upon set-up. Mine was. 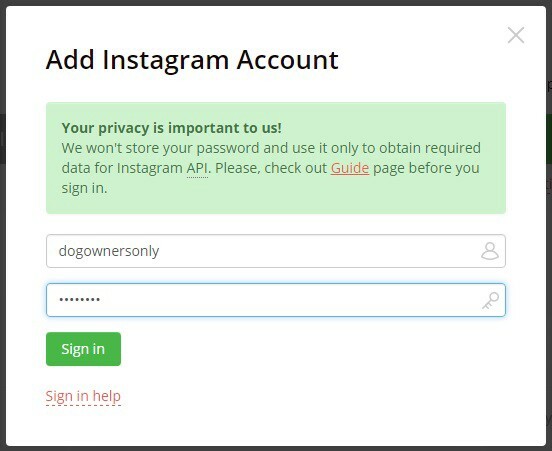 And here’s the thing… I didn’t want Instagram telling my personal network to follow me @dogownersonly… while well-intentioned, that’s kind of weird. You can unlink Facebook in the Instagram app by going to the gear symbol on the upper right hand side > Settings > Linked Accounts > hit Facebook. Now, back to the profile. Let’s grab a profile pic. I search “dog” in the Instagram search bar. It shows all the top content and hashtags that have to do with the word “dog”. > it doesn’t say “Love dogs? Join the party!” It says “your” dog, singling out the dog owners. Self-selection. > why didn’t it say “If you love your dog, join the party!”? Let me ask you this: do questions make you stop and think more than statements do? Next, let’s find some photos to post. Disclaimer: it’s against Instagram’s TOS to post content from other people. With that said, most people do it. And in the beginning, you might not have much truly original content. Reposting is a fairly tame activity, but you must do so at your own risk. We assume no responsibility, financial or otherwise, for your Instagram posting activity. That said, we’ll be using all reposted material for @dogownersonly. The original photographers will be credited in each Instagram post, of course. I’m on my phone now. 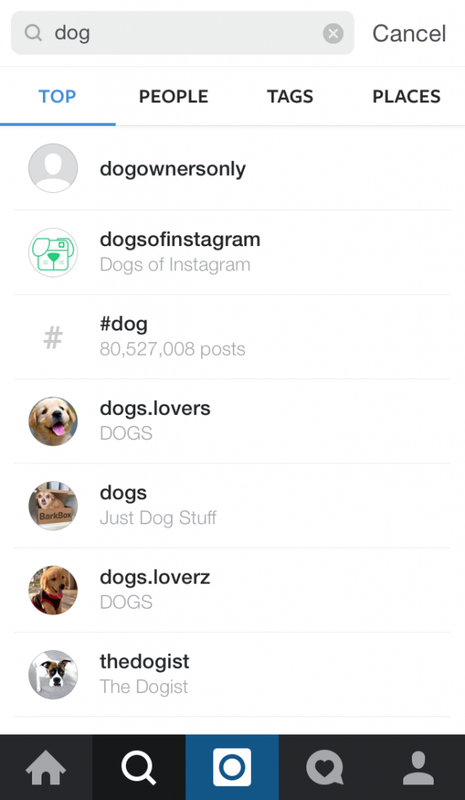 Let’s go to the Instagram search bar and look for “dog”, “dog clothes”, “dog shoes” etc. Also, visit some other popular accounts and take some shots from there. Whatever your market is interested in. Take 10–15 good screenshots of cool, relatable, likeable photos. Browse from account to account, taking screenshots. In this case, I’m snapping photos of different dogs with an emphasis on photo quality, cool content, and a decent variety of dog breeds. 15 minutes later, I have taken 20 good screenshots of dogs. Now that we have the pictures we’d like to post, it’s time to add hashtags so that people can discover our content. You need hashtags in the description of each photo that you post. 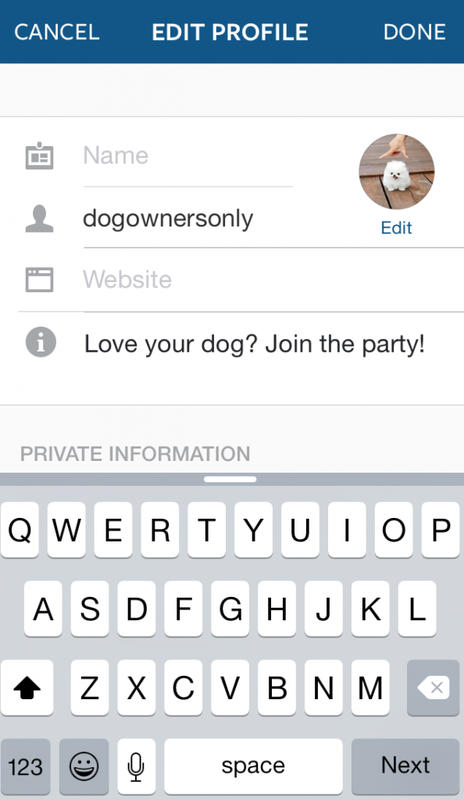 Without tags, our dog pics will float in the Instagram abyss, especially at the beginning. To find which hashtags are used most (and therefore, perhaps, most viewed), you can use Websta.me/search (that’s the website URL), a web-based Instagram browser. From this, we know which hashtags containing the word “dog” are used the most. 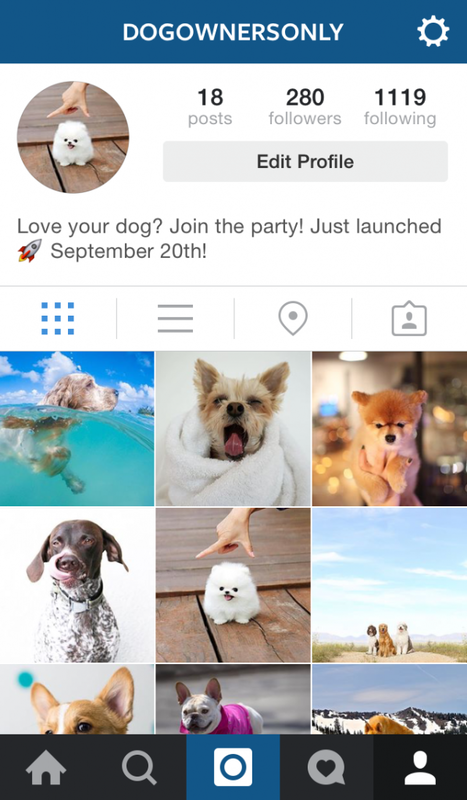 For instance, the popular hashtag #dogsofinstagram has been used in 28,159,312 photos. It doesn’t necessarily mean that they’re the most looked at, but it’s likely. If our photo description has these popular hashtags, our visibility increases. I save these in a note file on my phone, and copy and paste them in whenever I’m making a new post. I’ll also add a few new hashtags depending on the particular photo. 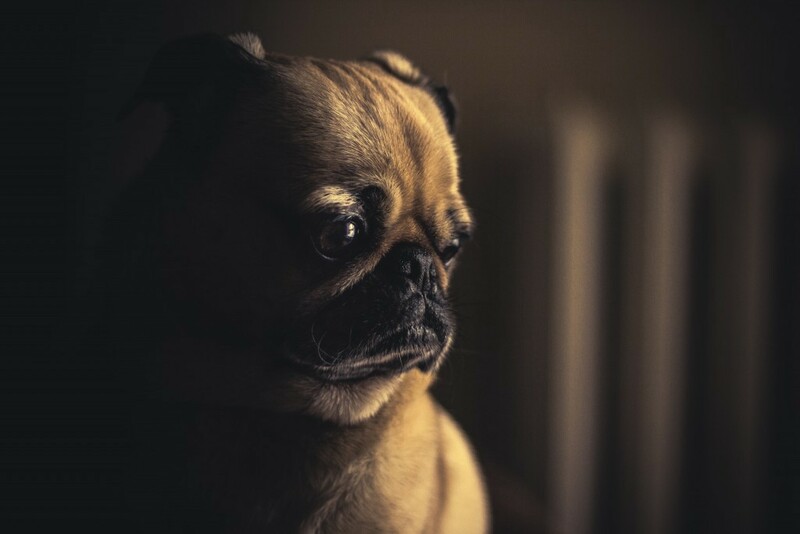 Like if it’s a pug, I’ll add #mypug #puglife #ilovemypug, etc. Speaking of the #puglife, here’s an example of one of my posts. So now, we’ve posted 8–10 photos with the appropriate hashtags, and we’ve got a couple of likes and follows here and there. Whatever. Here’s where it gets interesting. We’re going to enlist the help of Instagress.com to grow our audience because your time is worth a lot. Instagress is a bot (short for “robot”). It connects to Instagram’s API to like photos and follow other users based on the hashtags that you select. But how does this activity get you more followers? When you follow someone or like their photo, they get a notification. More often than not, they’ll head over to your account to see what you’re all about. If they like what they see, they’ll follow. This is why it’s important to have an Instagram profile photo and handle that appeal to your target market. If they get a notification from you and they say “Oh, it’s a dog account! I LOVE dog accounts!” that’s exactly what we want. Don’t make them guess, and certainly don’t mislead them. Ultimately, people will follow you if they enjoy your current photos and are confident that you can consistently deliver more of the same. And a word to the wise: don’t use the Instagram app manually when Instagress is running. This will result in the Instagress connection being lost. You can reconnect, but it’s a pain. So while Instagress is running, don’t use Instagram on your phone in the same account. When you set up a new account, Instagress gives you 3 free days (72 hours) of operational time. Awesome! Thank you, Instagress! You can turn the clock on and off, starting and stopping activity whenever you like. So you can use the hours as fast or slow as you’d like. Let’s set up. 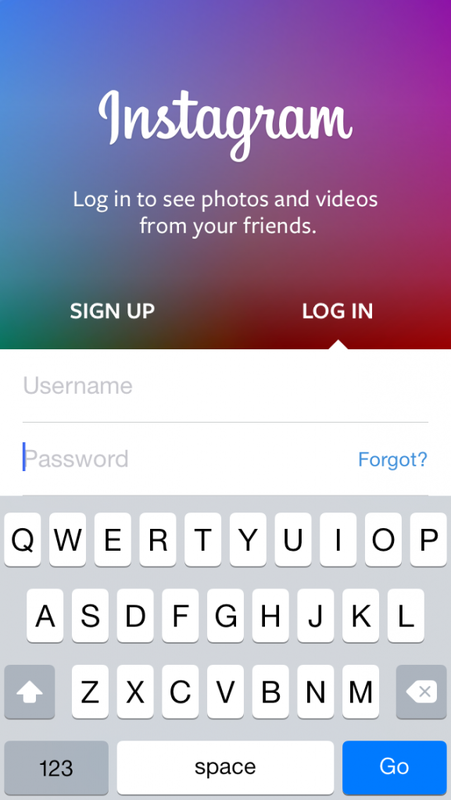 Enter your Instagram name and password. 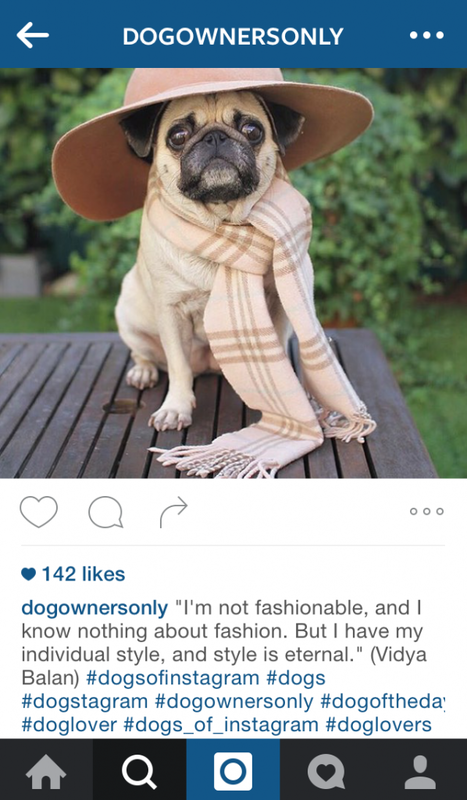 Here’s @dogownersonly as it appears in the Instagress dashboard. This is where Instagress reports the account’s activity to you: likes, comments, follows, unfollows. Here’s what you see when you fire up Instagress for the first time. And now, let’s give Instagress its orders. And here we have the main settings. Then, we need to create the comments. These are the comments that @dogownersonly will be leaving on the photos of others (based on a set of hashtags) to get their attention. Here’s what Instagress has in the comments section by default: things like “Aww nice” “Love it!” and my personal favorite: “Such an inspiration”. Can you imagine that comment making its way onto the wrong photo? You could inadvertently look like a lunatic. Delete them all. As you can imagine, the more tailored-looking the comment is, the better it will perform. Just because we’re automating our comments, doesn’t mean anyone has to know. For @dogownersonly, I’ll be using things like “Beautiful dog”, “Nice dog! #woof”, “So photogenic”, “Lovely! #dogsofinstagram” “Such a nice shot”, “Amazing shot — happy Friday, by the way!” (add this comment on Friday’s only! ), “What a beauty”. You’re also allowed to use emojis in your comments, which say a lot without using any words. That’s ideal for this situation, so I threw in some dog, heart, and smiley face emojis as well. It’s best to create at least 30 unique comments so that members of your niche don’t realize that you’re leaving the same comment over and over again. Make sure the comments are specific to your niche, but general enough to work in any scenario you can imagine. Remember, the comments will be automatically placed on photos that are tagged with the hashtags we’ll select in a second. Let’s talk about hashtags in the context of Instagress. This is crucial. As with the comments section, Instagress will have some generic tags pre-loaded on. Delete them all and add your own. Our entire strategy relies on using what I call “consumer hashtags”, meaning that we want our account to like and follow based on hashtags that consumers in our target market ACTUALLY use. Consumer hashtags often include the words “my___”, “ilove___”, or “mynew___”. By including these prefixes, we ensure that the content we’re engaging with comes from a person who has a dog. The photo will probably contain a dog, at least somewhere. They’re not a casual observer, and a corporate Instagram account would be less likely to use personalized tags like this. 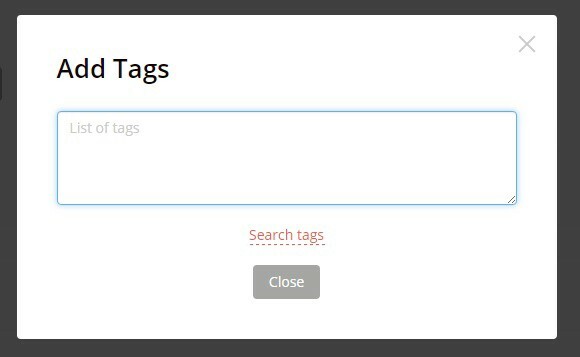 Let’s return to Websta.me/search and get some consumer hashtag suggestions for Instagress. Here, I’ve searched #mydog (this is a consumer hashtag, because the user who tags a photo with #mydog is likely to be talking about their dog) and got these suggestions back. These are great. Here’s the search for #ilovemydog, which yields even more great suggestions. In Instagress, there’s a section for tags. Pro tip: don’t write your tags directly in Instagress. Put your list of tags in a Word doc or .txt file first and then paste them into Instagress, because once the tags are entered into Instagress, you can’t copy and paste them back into regular words. True story. Here are the consumer hashtags that I compiled. Any photos where these tags are used will receive likes and follows from @dogownersonly, and it’s my hope that they attract people who own dogs and would consider buying shoes for them. Let’s run these tags, and see how it goes. And one last field to fill out here: the auto-stop feature. This just makes sure you don’t waste your Instagress time. Stop if no activity = 1 hour. “Activity” here means likes and follows, so you want to minimize the amount of time Instagress is just idle. We’re ready to launch! Scroll up to the top of the page on Instagress and hit start! Before you begin on Instagress, make sure that you have at least 8–10 photos posted to Instagram so that users can see what your account is all about. @dogownersonly is a new account, so Instagress gives it 3 days of time for free. Make use of this time. Start during peak hours (6pm — 10pm). Then, consider pausing and testing more/different hashtags sets. I’ve been milking the 3 free days, pausing intermittently. Here’s an example of Instagress activity for a few hours: 325 likes, 62 comments, and 209 follows. This was done on “Fast” speed. After using the 3 free Instagress days, we’re at 280 followers. Not bad, but I need some more time. I buy an Instagress package for 10 days for $4.99. You can just PayPal it. > Reason #1 is that I don’t have a lot of photos. Only 18. Launching recently provides a good reason as to why I don’t yet have many posts. It shows that I’m a young, up-and-coming account… not an old dog with no new tricks. > Reason #2 is that people like new stuff. They like discovering things first, ahead of the curve. So if the date (September 20th) is close to today’s date (which, at the time of writing it was), they feel like they’re getting in on the ground floor of something new and exciting. On October 4, 2015 we’re at 540 followers. I have a cool metric for you: FOBAR, short for “follow back rate”. From the Instagress screenshot below, you can see that my FOBAR is 540 followers/1915 followings = about 30% of people whom I follow reciprocate. FOBAR shows you how effective your efforts are. If you have an 100% FOBAR, that means that everyone who sees your account through the hashtags you’re using LOVE your content and decide to follow you on the spot. In my case, 1 in 3 people do this. 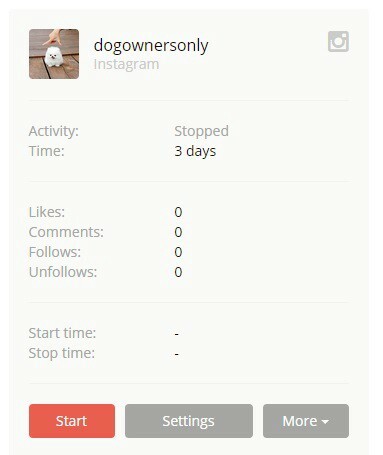 Cool bonus technique: during my time building @dogownersonly, Instagress introduced a new feature where you can engage with the followers of any page. 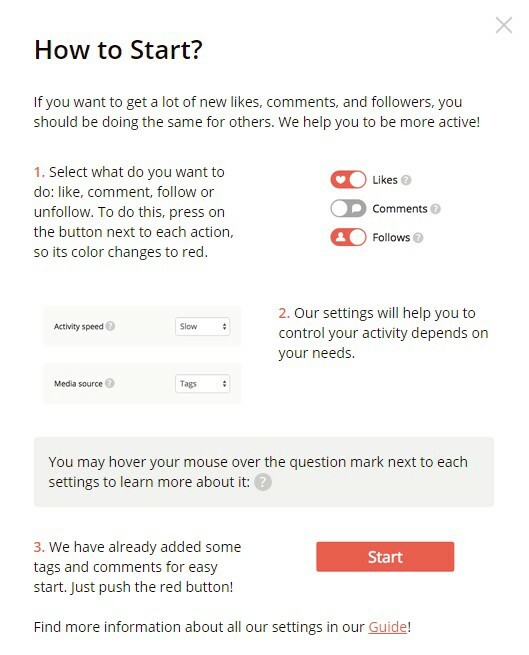 In Instagress, go to Main settings > Media Source > Followers of Usernames > (scroll down to Usernames) and enter a popular Instagram account in the same niche as you. In the Instagram dog picture scene, the leader is @dogsofinstagram. So I entered that handle, turned Instagress on, and got 40 followers in a few hours. Remember, I’d been using the same hashtag set up to this point. It was time to try something new. Targeting a base of followers is great. Give it a try! With this new technique, I posted 2 new photos and left Instagress to target followers of @dogsofinstagram for 1.5 days. However, targeting followers of the @dogsofinstagram page would sometimes shut off my Instagress due to a lack of activity. So, I’m resuming my consumer hashtag regimen. Other cool bonus technique: if you want a similar effect to username targeting but you want 100% control, try this. Shut off Instagress, and go into your Instagram account manually (remember, you can’t operate your Instagram while Instagress is actively running). Go to a popular account in your niche, go to their most recent posts, and engage with the likers and commenters (by following them and liking some of their photos). They’re already engaging with an account that’s comparable to yours, so the odds of them following you back are high. This technique is manual, but has an excellent FOBAR. Here’s the account at 695 followers. So far, we’ve run Instagress on our consumer hashtags and followers of @dogsofinstagram, and a little manual engagement. In the photo below, it’s October 20th, and the account has been active for 30 days. We’re on the home stretch, with 895 followers. Just 105 more to go until our goal of 1000! I’ve been running Instagress sparingly, at peak hours. Again, I define “peak” as weekend afternoons and weekday evenings (6pm — 11pm), when people aren’t working and get my notifications instantly. I added 2 more pictures (we’ve got 28 posts in total, now) and a few more days of Instagress running at peak hours, and we did it! I didn’t need to spend more than $4.99 on this, in total. I think it’s because of that pug in a hat. When we started, we were a real underdog. 0 followers, 0 engagement. And today, we have over 1000 followers. Followers are great, but it’s time to monetize. Here’s how. (1) Sell directly in your posts. - a prompt to buy from the link in the bio. How do you monetize your audience? Sell to them. So simple. So effective. If you’re hesitant to do posts like this, consider: if your product is good, you’re providing value and shouldn’t be afraid to sell. Who cares if people unfollow? They wouldn’t have bought anyway, so you’ve both dodged a bullet. 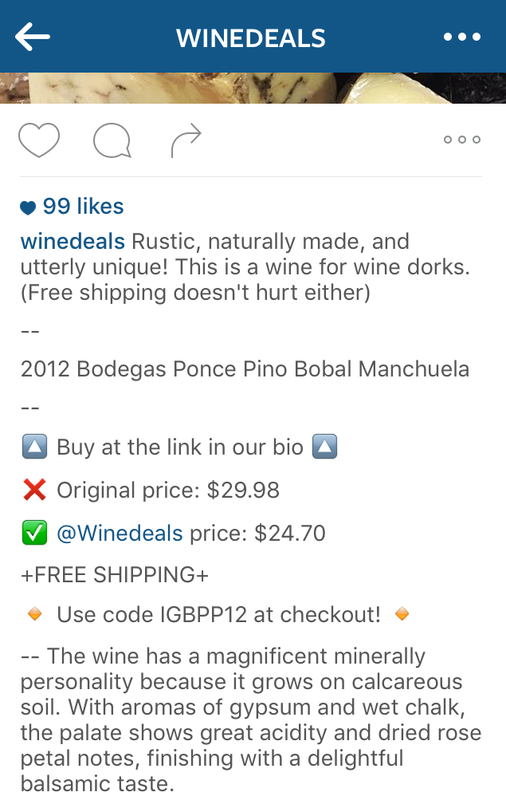 This strategy turns Instagram from a fuzzy “awareness” builder into a sales channel. Edit your Instagram description to say something like “Reading this right now? For the next 60 minutes (ending at 6:30pm EST on November 19, 2015) get 50% off dog shoes with the code DOGOWNER on Amazon” and then link to your product listing in your Instagram bio. Make the Amazon promo code unique to Instagram, so that you can track conversions and see if it’s working. Do a picture post that asks participants to enter their email address in an entry form (which is linked in your Instagram bio) and share a particular photo (a photo that you post) for a chance to win free product. While not resulting directly in any sales, it’s a good way to command attention and build your following, who you can sell to later. Disclaimer: don’t abuse Instagram’s direct messaging system. They might ban you. That said, you can direct message your followers with a special promo code for your Amazon product, with the Amazon product link in your Instagram bio. Include something that you saw on their photo feed (e.g. “That red leash you put on Eliza the other day was adorable. Anyways, just wanted to give you 20% off on dog shoes in case you need them this winter as a thanks for following me!”) so that they don’t report you. If it seems like a personal message and they’re not interested, they’ll politely decline instead of reporting you. (5) Build an email list. If you’d prefer to get their emails and send them further down a sales funnel, simply change your Instagram bio to say “Want tips on how to take care of your dog in cold weather? Sign up for tips sent directly to your inbox.” Build a landing page on your website, and send your Instagram traffic there. Or, you can even trade an email for electronic goods: “Want a 20-page article on how to raise your dog the right way? Sign up for our mailing list and get immediate access”. (1) DEFINE the audience you’d like to attract using the Instagram channel. (2) SET UP an Instagram account, choosing a handle that speaks to your market. You don’t need everyone to care; you just need members of your niche. Write a brief, self-selecting bio that shows that you launched recently. (3) TAKE PHOTOS via screenshots of interesting content in your niche. (4) POST DAILY or every other day with popular hashtags found on Websta.me, giving credit to the content creators. (5) CONNECT INSTAGRESS after you have 8–10 pictures posted. Target consumer hashtags: tags that your target market is using in the content that they post. Use prefixes like #ilove___, #my___, or #mynew___. Turn on Instagress during peak hours (weekend afternoons and 6pm — 11pm on weekdays). (6) HAVE PATIENCE. It took us 37 days (September 20 — October 27, 2015) to get 1036 followers. That’s an average of 28 new followers per day. It’s tough in the beginning, but builds momentum over time. (7) CONVERT. Using direct selling posts, flash sales, contests, direct messaging, and email list builds. You now have the knowledge. Get out there and build your Instagram empire! Loyal customers are the greatest asset a business has, and Instagram is a tremendous opportunity to find and connect with them. Take action and start today. 37 days from now, you’ll be glad you did. I hope you liked this guide. If you’d like to grow your business further, my company (HonestFew) specializes in getting sales and reviews for Amazon products. This causes your product to rank higher for keywords and make more sales. Many sellers we’ve worked with are now sitting happily on page 1, enjoying $1000s of extra dollars every month. Invest once, and reap the rewards forever. You can check out our seller pages here. PS: if you’re in the kitchen niche and want a 1500-customer headstart, you can also email me to buy another account that I made as a tester. The handle can be changed to whatever you’d like, and the following’s all yours to grow and pitch. We help Amazon sellers make more money.